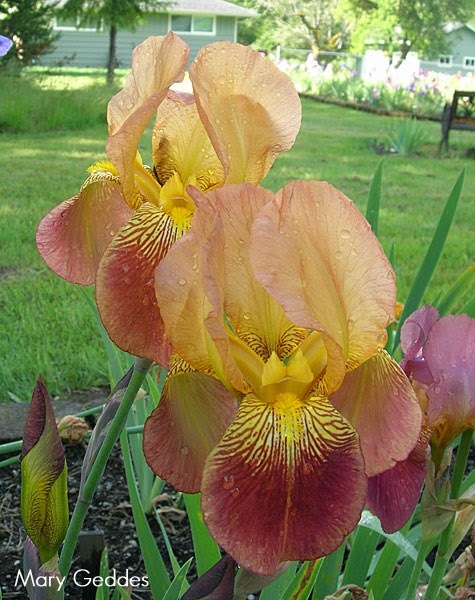 Earlier we looked at some irises and other flowers that bloomed this past spring in NW Louisiana. The season was very late and when it finally turned warm, everything bloomed at once! 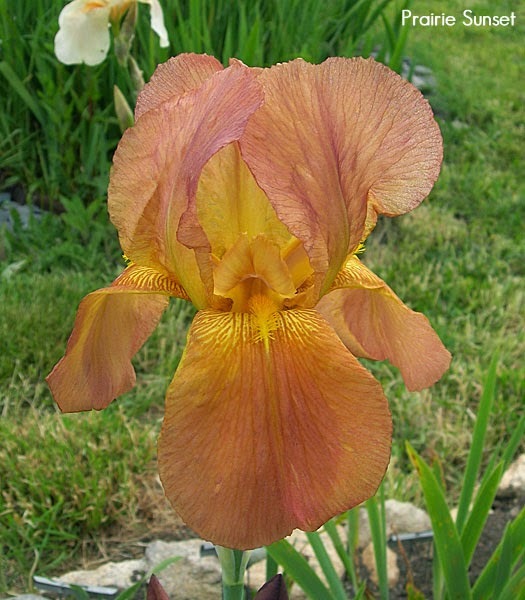 "Flareout" is one of many doubles hybridized by Marving Grainger. It has all falls and the style arms are usually deformed. 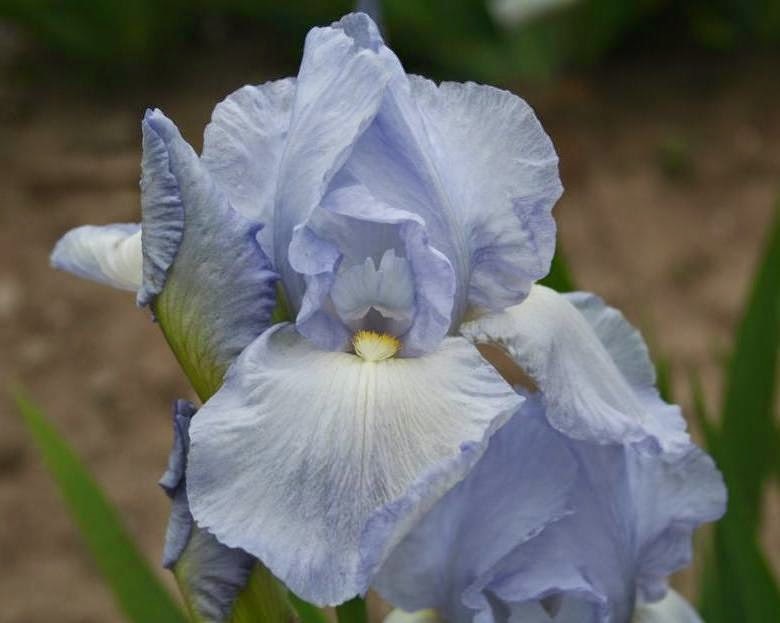 Dormon Haymon named this iris for Longue Vue House and Gardens in New Orleans. 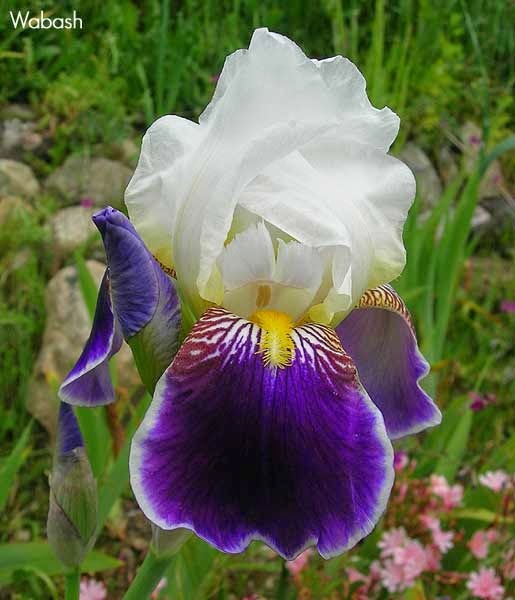 It remains a favorite white iris and is a great garden iris. 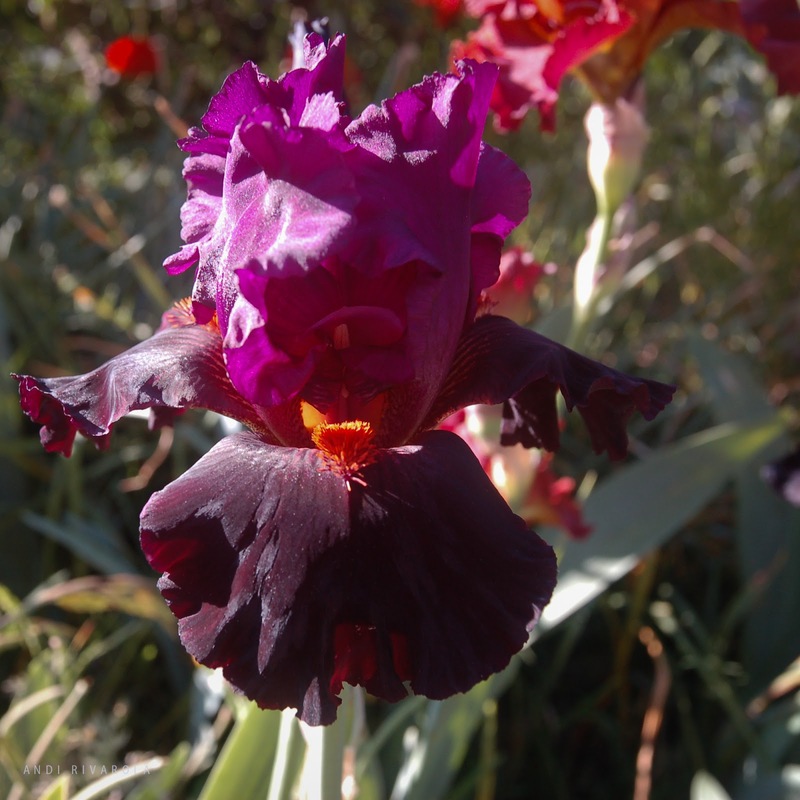 This remains one of my favorite irises. It grows well and has such nice green style arms. The veining is very nice. 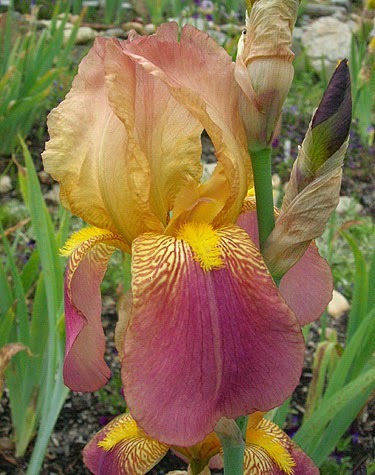 Richard Morgan produced a lot of great irises. We do not grow a lot of the species of Louisiana irises but I really like this tiny little nelsonii. 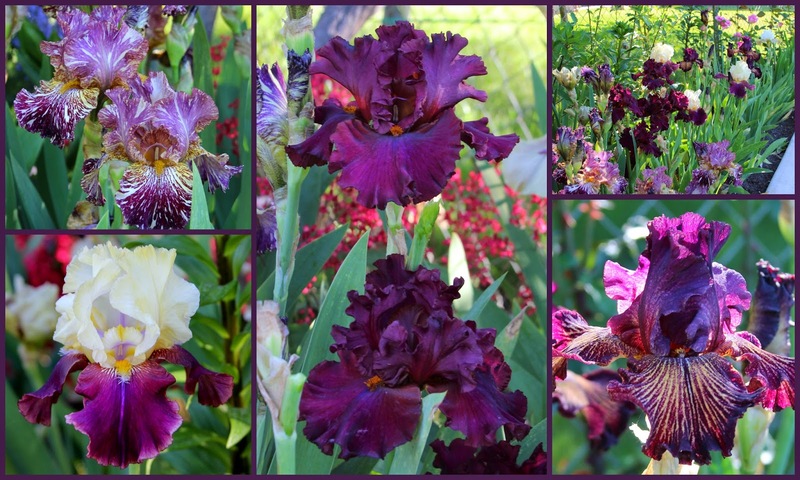 A mixture of various hybrid Louisiana irises in one of our many beds. A nice clump of this iris growing by the Koi pond with several others off to the side. 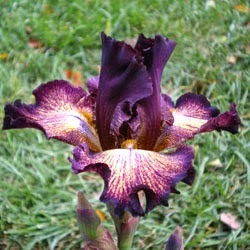 I really like this Tall Bearded iris! It was a gift and that makes it even more special. I have never met C. Carrol and really do not know much about the hybridizer, except he hybridized outside the US. 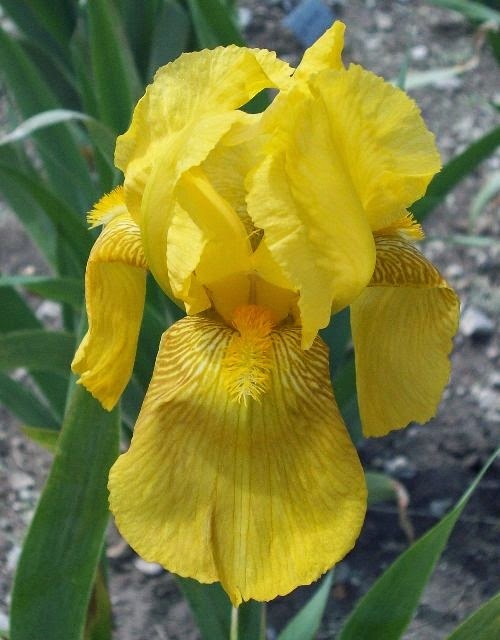 It is a pretty iris and I look for it each bloom season. A beauty with a great south Louisiana name. 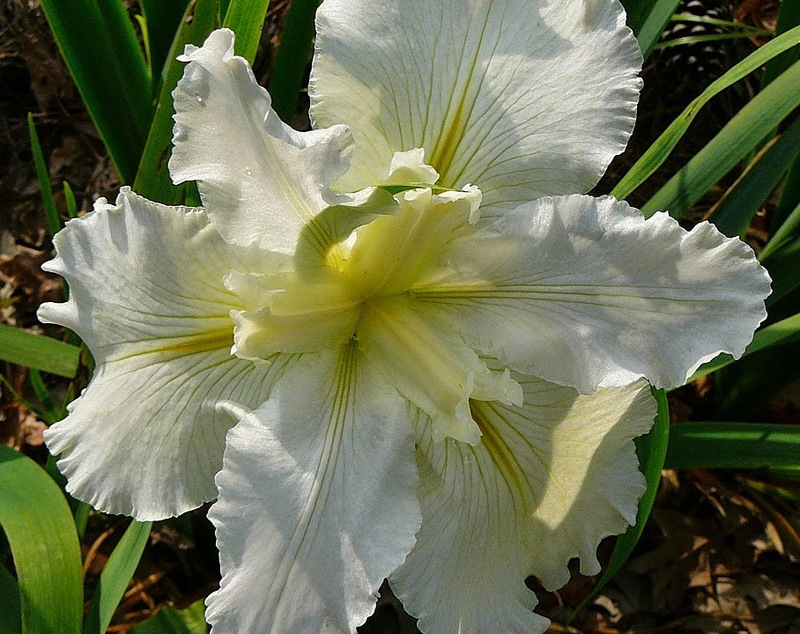 Joe Musacchia (Cajun Joe) has produced numerous lovely Louisiana irises. Another beauty with a great "southern" name. That's about it for part II folks. Don't miss part III. I hope your bloom season was more "normal". 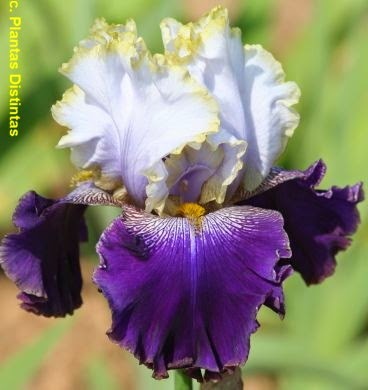 If you are interested in knowing more about or growing Louisiana irises feel free to contact the Society for Louisiana Irises for more information. 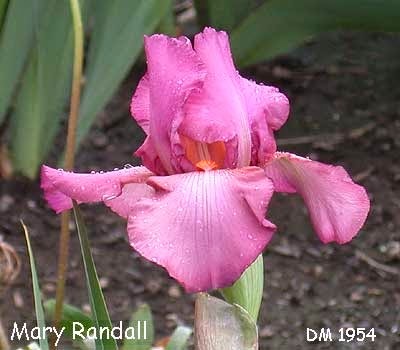 You can learn more about all the other irises at the American Iris Society website. Until next time -- don't just sit there, get out and grow some irises! Gorgeous 'Black Magic Woman' by Rick Tasco (R. 2008) became one of the three winners of the 2014 Wister Medal. 'Montmatre' by Keith Keppel, (R. 2007) and 'Magical' by Joe Ghio (R. 2007). 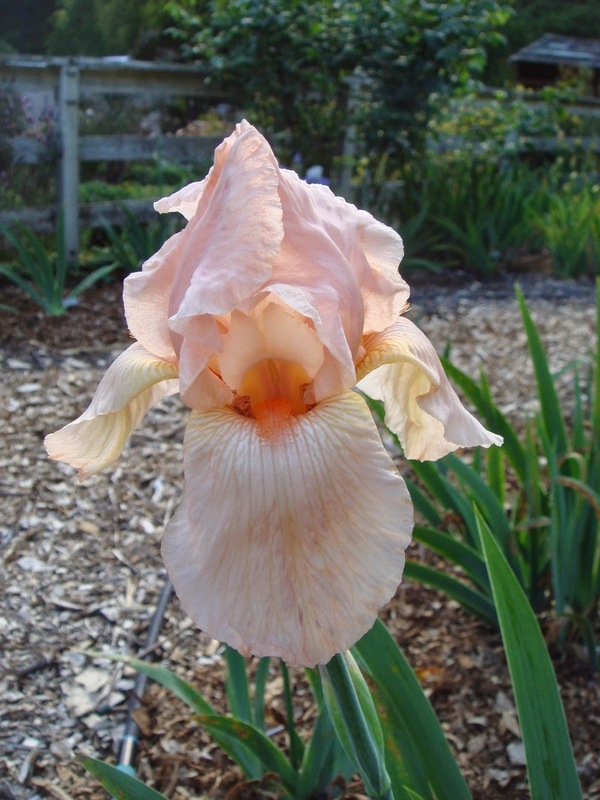 The highest award given by The American Iris Society to a tall-bearded iris. This medal is named in honor of John C. Wister (1887-1982), founding member and first President of the AIS. 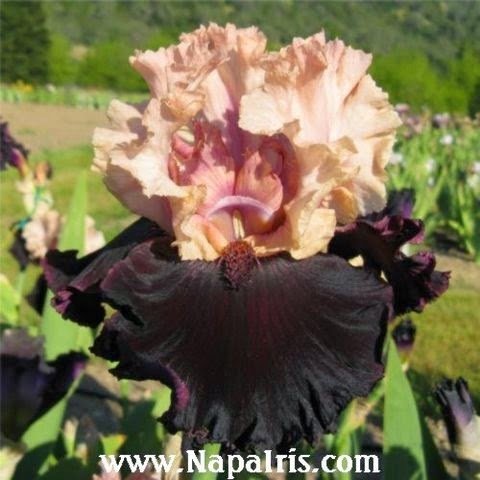 All iris categories award only one medal for each year with the exception is this category, the very popular Tall Bearded (TB) iris category. There are three Wister Medals awarded each year, and only AIS registered judges may vote for them. The entire list of Award Winners for this year can be found on our website: 2014 AIS Awards. And, for a fantastic and more expanded list with links and images, visit The AIS Encyclopedia: 2014 Awards at the Iris Encyclopedia. 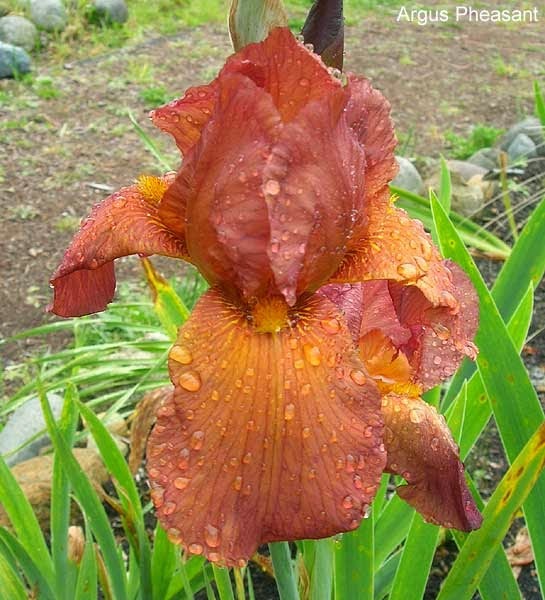 In the past when planning my beds, I always organized them with a specific color or colors in mind, with a few favorite irises, then added an assortment of several perennial plants that coordinated with, or enhanced the bed.The past several years, however, my passion for tall bearded irises has increased and I have planted additional irises that coordinate with each other, adding several to the beds. The upside is that this past season the beds were a glorious array of coordinating colors! 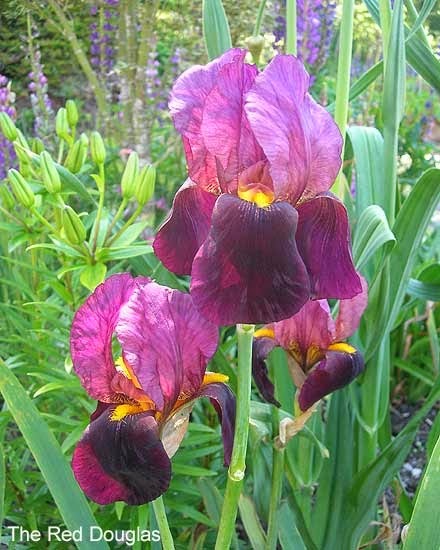 The downside to adding more irises is that division must be done every 2-3 years in my beds because of closer planting. I still have companion plants of every kind, but the number of irises now outnumber the other perennials. I have recently added some new irises to this bed. 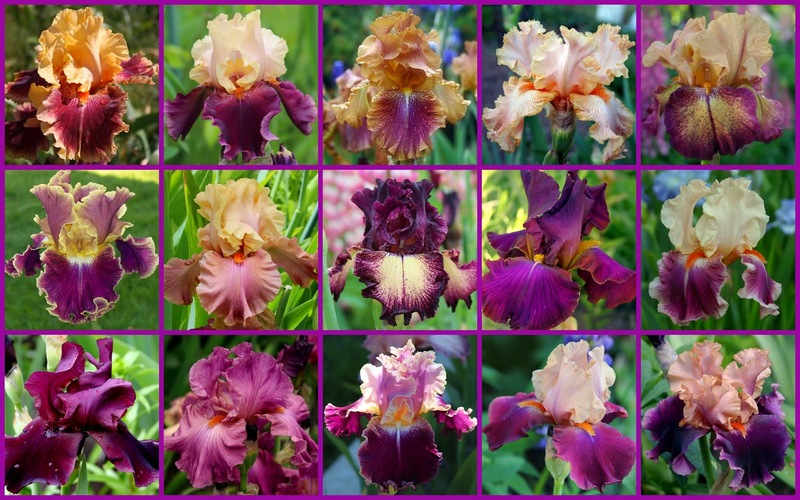 The collage shows how I organize the iris in color schemes that are pleasing to the eye. I've added ''CENTER ICE' and 'LIMERANCE' this year to this favorite garden bed. I also moved two irises into different beds where I thought they would look better and to make room for new ones. 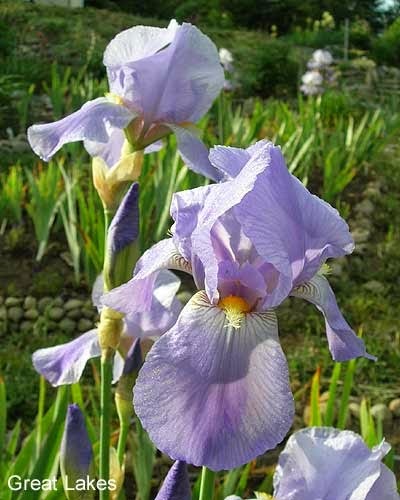 That's the great thing about irises-- they are so easy to move around. 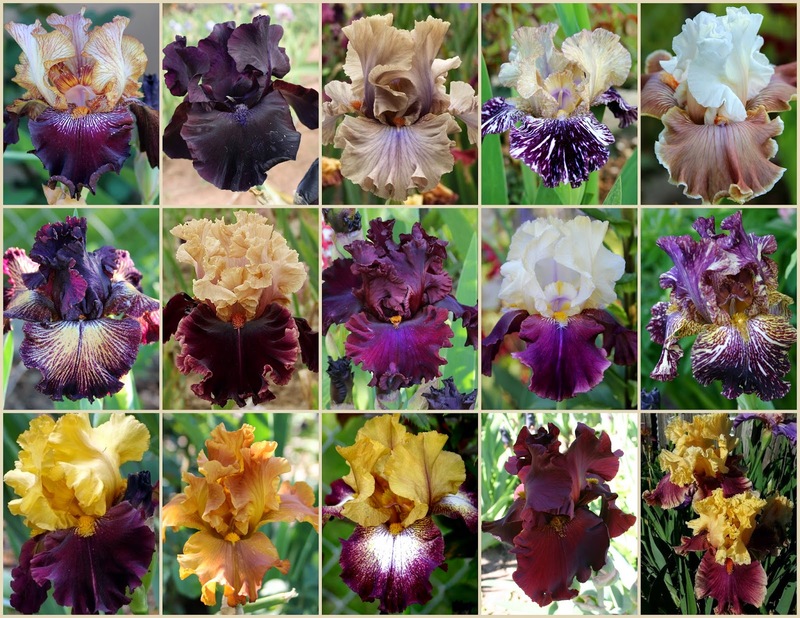 For example, this bed consisting of 10 irises will now have 15 next year, as shown in the new collage. 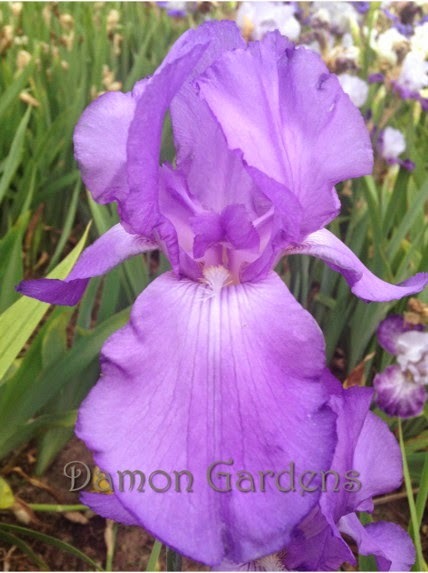 In choosing irises, I regularly pour over commercial catalogs, both printed and online. 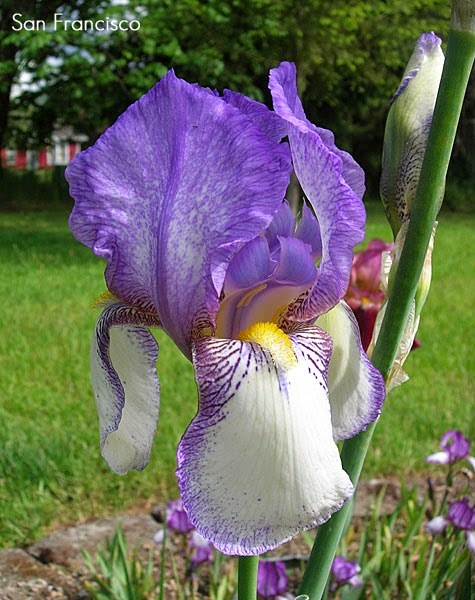 I also utilize the AIS wiki, a comprehensive encyclopedia of every iris that has been introduced. 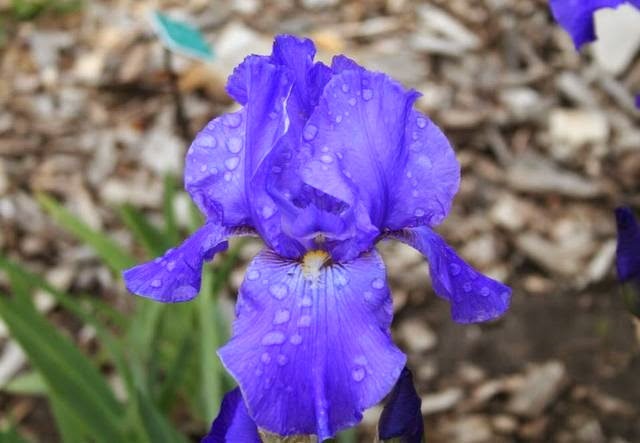 Most have multiple pictures, and all the information regarding the cultivar is listed as well. 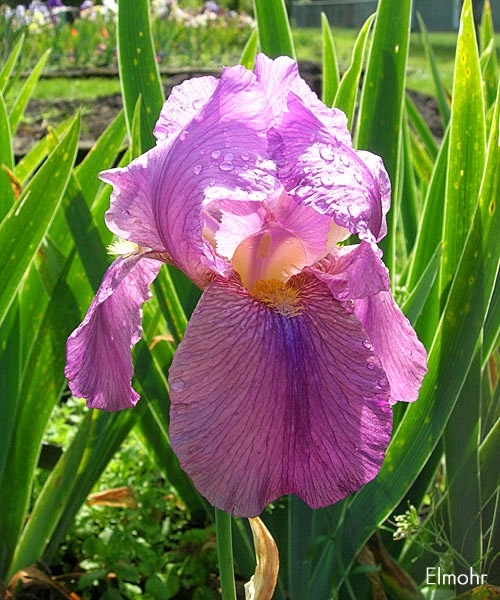 I also enjoy viewing photos of irises in several groups on facebook; two being Iris Lovers and Iris Growers and Traders. 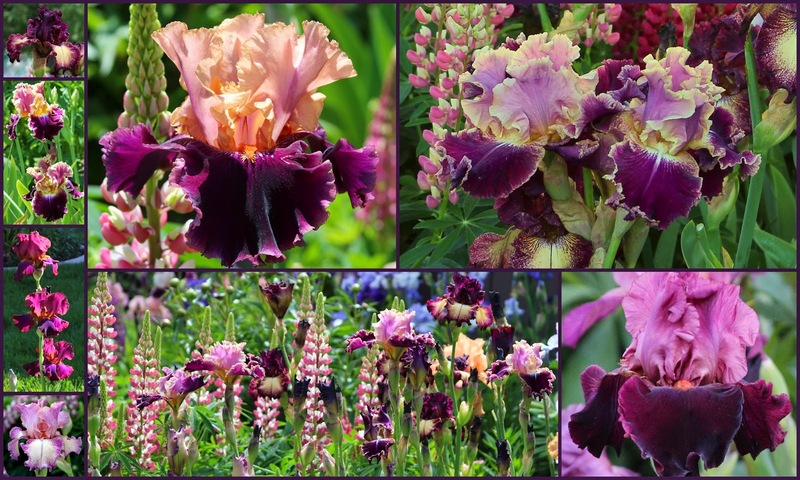 As far as my collages, when I have a new iris that I've just planted and it hasn't bloomed, I try to get a picture in a garden so I can take my own photo. 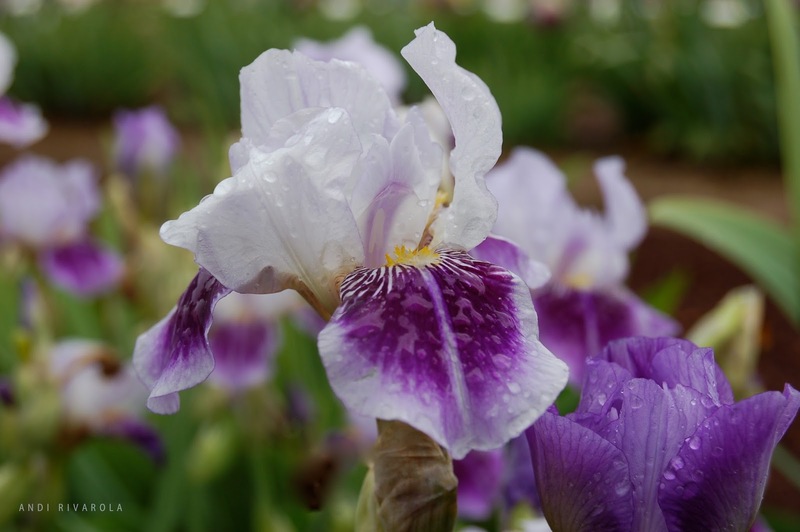 When unable to do so, I use those photos only in my personal files, then replace my own picture when the iris has bloomed. Making changes is easy with the collage. This bed has several new cultivars, and promises to be a favorite next year. The collage shows additions and changes made in the bed. 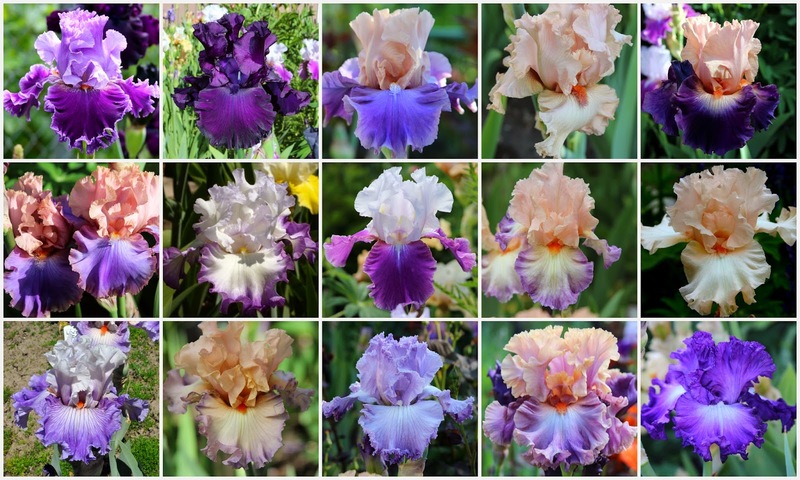 Because there are so many tall bearded irises to choose from, mixing, and coming up with harmonious color schemes is an easy task. 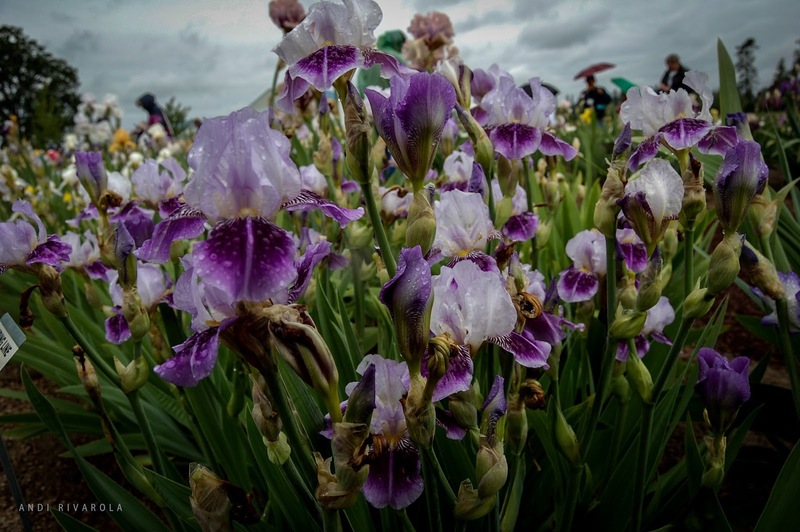 The hardest part is choosing from the thousands of irises that have been hybridized over the years, with every year hundreds more being introduced. Making a collage has helped make this process much easier for me. 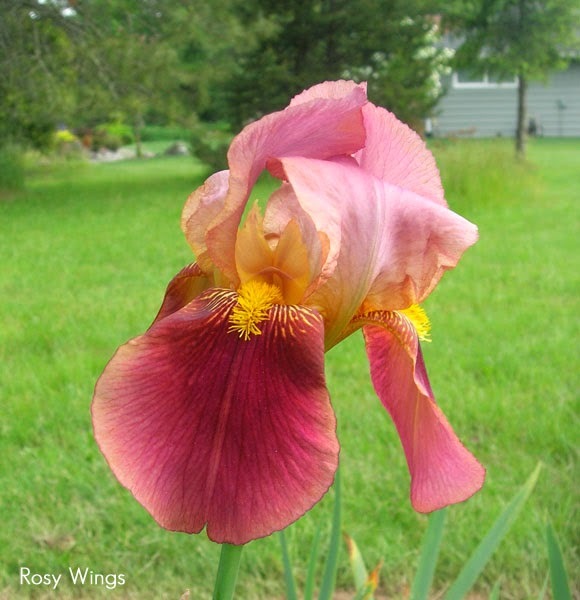 Do you coordinate your iris beds? What color combinations do you like in them? What has worked for you in planning out your beds? I'd love to hear from you! TRADER', 'TORONTO', 'CENTER ICE', 'LIMERANCE' and 'KATHY CHILTON' photos). 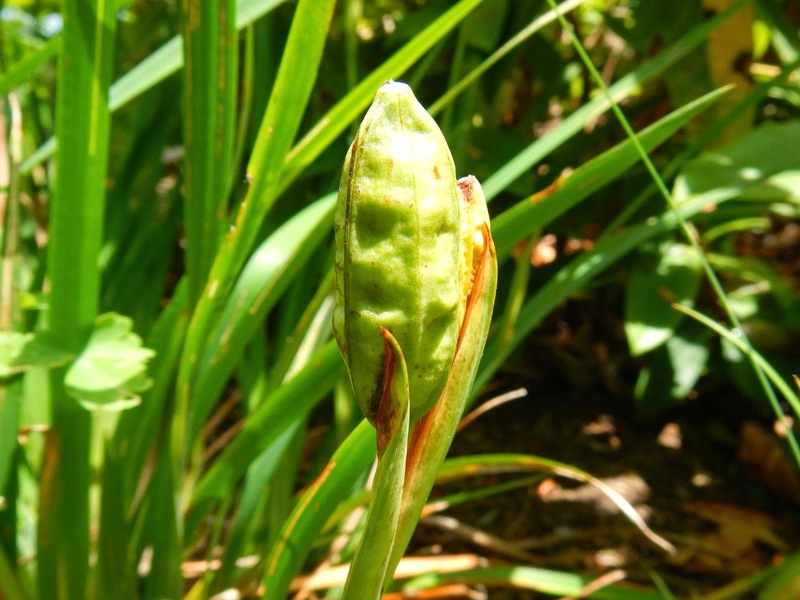 Mid to late summer is exciting: it's harvest time for Pacifica Iris pods. Some species irises shed seed by early July in my garden, including Iris tenax and I. innominata. These species often grow at high elevations in the wild, flower in May or June, and have ripe seed by mid July to early August. They waste no time cranking out the next generation. Other species take more time to ripen seeds, nine weeks instead of five to six weeks, including I. douglasiana. Pods often go through a color change as they ripen, from green to gold or yellow. Even when not opened, a yellow pod has mature seeds inside, ready to collect. Just a few weeks ago, seed pods were green. 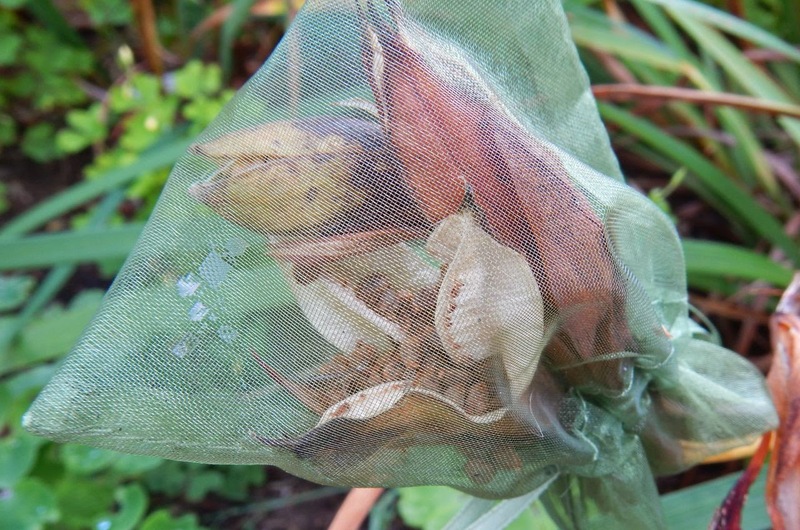 Iris pods are opening all over the garden by late July, when the mesh bags come into use. Here, all pods in this cluster have opened, the tips are spread on the upper two, and the bottom one has valves spread to show the seeds inside. 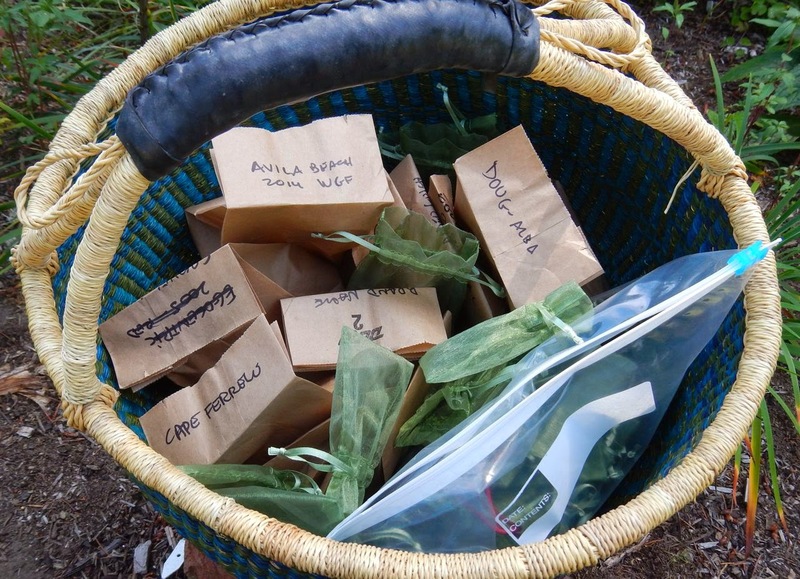 Mesh bags or nylon stockings are good devices to use to contain seeds and ensure that a gardener's work in crossing specific parents isn’t lost at the seed collection step. Saving even a few seeds from a choice cross can be important in a hybridizing program. I cut the stems and collect the pods, still in their mesh bags, to dry before taking out the seeds. The stems can be tied together with a wire tie or string, hung in a dry shady place, out of the sun and away from direct heat––just as you would dry herbs or flowers, or put into paper bags in a warm dry spot. After a few days, any pods that can open, have done so, and the seeds are ready to clean and package. A basket of treasure: Ripe pods in paper bags, ready to dry indoors. Normally the valves separate from the pods, and the seeds break off and scatter. Occasionally pods stay closed or only partially open. Either the tip will not separate, or the sutures along the edges do not open. When this happens, I use a knife or razor blade in a holder to cut the tip off, or cut along a suture line, being very careful to keep my fingers intact, and to not cut into seeds. Then I gently peel out the seeds. Seeds go into a bowl. Use a large bowl that you can swirl seeds around in. This lets you blow or toss seeds outside to separate seeds from chaff and pod fragments. I also use a sieve to shake out fine bits if the pods are dirty. I clean the seeds and remove all non-seed bits and pieces, insects, et cetera. Separating seeds from chaff is a very old process. Humans have been doing this for thousands of years. And it’s fun! After the seeds are clean, I put them in a clean bag (mesh or paper), to continue air drying. The label moves with them. 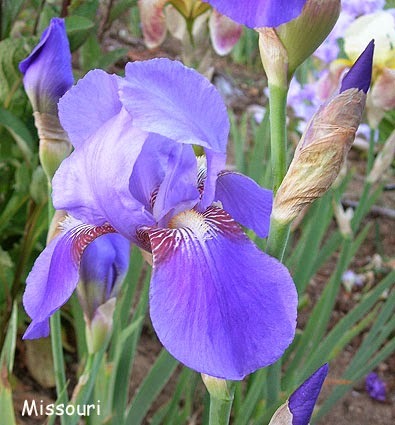 I save seeds for seed exchanges, such as Society for Pacific Coast Native Iris, and Species Iris Group of North America. I learned the hard way to not put fresh seeds into glassine or plastic bags––they mold. The mold doesn’t kill the seeds, it’s just in the seed coats, but it looks terrible, and when it’s really bad, all the seeds are encased in a dense whitish mold into one solid lump. Ugh! If there's too much mold I scrub the seeds with a plastic scrubby to clean them, then rinse and re-dry the seeds. 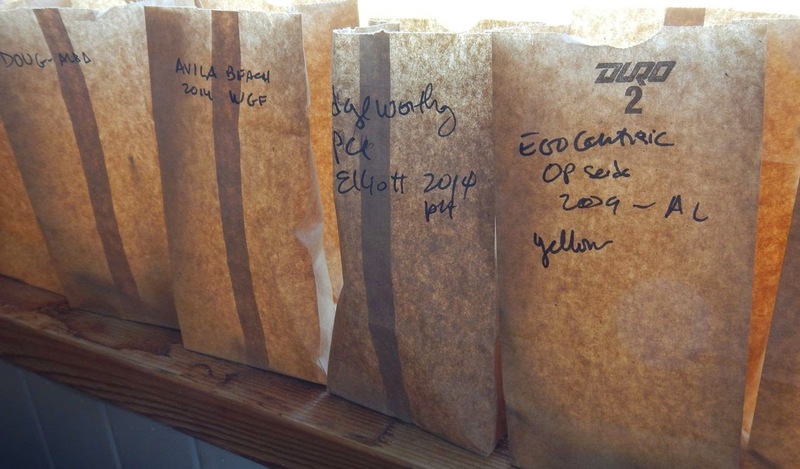 Drying seeds, in a row of paper bags. This takes patience, and at least ten days! Let the seeds dry thoroughly before packaging each seed lot. I’m not naturally a patient person, so this is hard. Wait ten days, at a minimum. More is better. Only when the seeds have dried indoors, in a clean mesh bag, and I have let the days slip past, do I then put the seeds into an envelope, label it, and set it aside to send to a seed exchange. I also share seeds out to gardening friends, and this is when those seeds are mailed. Labels need to include what, when, where, and any details of the plant or flower that are important. List: Pod parent, pollen parent if known, the flower color on the pod parent if it’s a species or unregistered new flower, likewise any characteristics of the pollen parent that were important to note, or bee-pollinated, if open pollination was used. If you use crossing codes to track garden crosses, write down those codes too. This helps you and others track the parentage of your seeds. Another task is to take all the used mesh bags, wash them in warm soapy water, rinse, dry, and then freeze them for at least two weeks. Why freeze the bags? If any invertebrate eggs are in the bags, this will kill them. Washing, drying and freezing helps ensure that the bags are clean, and ready to use again next year. Do you grow PCIs, and do you save seeds to give to other gardeners? 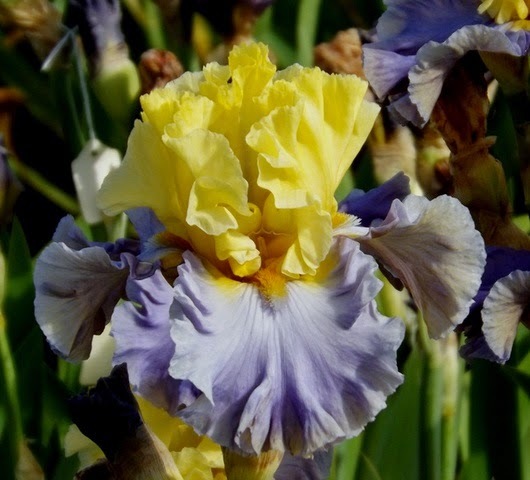 If I offered proof that I've been following the work of Chuck Bunnell, and in particular the many lives of MTB (Miniature Tall Bearded iris) 'Dividing Line,' would you believe it? Well, believe it or not, that is the case. I say the many lives because I have encountered it in several locations growing and blooming so happily that I stopped taking pictures of it, I must regret. I'm such a fool! Besides having seen this gorgeous little Bunnell creation at several of the AIS National conventions the last few years, I also grow another of his MTBs, 'Missus Bee' with great success. May I remind you that it's very rare to grow any MTBs at all in the Mediterranean weather of Southern California where I live? I first encountered 'Dividing Line' blooming profusely in rainy Portland during the 2006 National Convention. It's form caught my attention from the start, different from other MTBs and with triangulated edges; the quantity of blooms and bloom stalks also made it very attractive. And, I was intrigued by the vertical line across its falls. Who would have known? 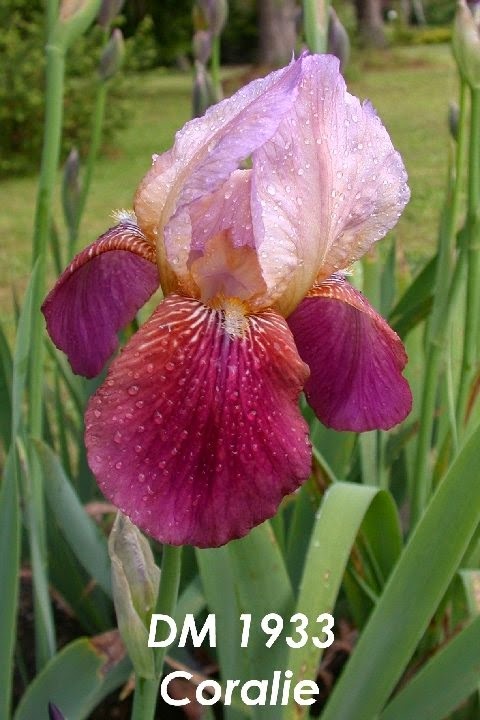 So, it is with great pleasure that I say: Congratulations Mr. Chuck Bunnell for winning this year's Dykes Medal with beautiful 'Dividing Line,' a little iris that could. 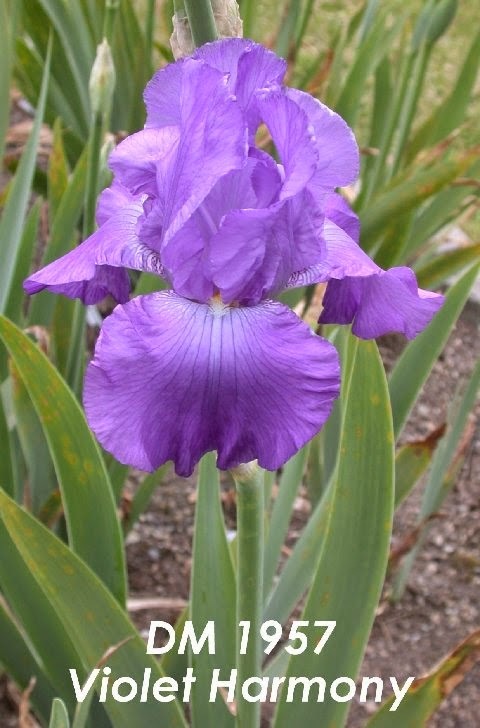 What Do Iris Hybridizers Look For? 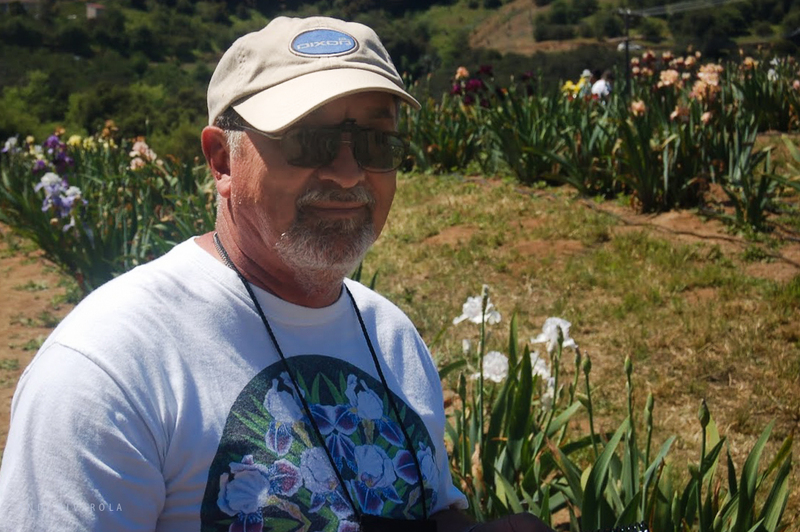 In suggesting topics for this posting, Renee Fraser remarked, "One thing I always wonder about hybridizers is which new intro caught their eye and why?" The first attraction for me is, simply, the beauty of the flower itself. The second motivator is its being of the patterns that I prefer, which are predominantly amoenas and near amoenas with velvety falls, usually dark. The third consideration is whether it might fit into my breeding goals. 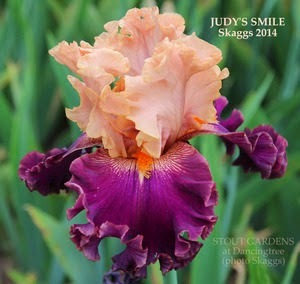 Judy's Smile (Skaggs 2014), offered by Stout Gardens At Dancing Tree. From Starring x Kitty Kay. I have both of the parents, so might try the cross myself. 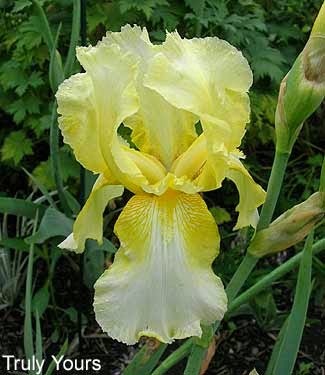 Another beauty, which I won't use in hybridizing (because it doesn't fit within my goals), but which I admire and would like to grow just for its handsomeness, is Mike Lockatell's reblooming border bearded Double Dare. I saw it when he first exhibited it at a Region 4 fall regional show. I and others thought it should have won best seedling, but one of the judges just didn't like plicatas. I always like a good red, and Don Spoon's Red Hot Momma (Rogue X Dynamite) falls in that category. I can't seem to keep either of those parents alive (or, at least, blooming), but Don has, so maybe I'll approach him for a start. Keith Keppel's Gambling Man (Silk Road X Roaring Twenties) caught my eye, as does anything with the Edith Wolford color pattern. This, though, is from quite different lineage. I am particularly impressed with the introductions of Robert Piatek, of Poland, and those of Anton Mego, of Slovakia. I have Mego's Slovak Prince and seedlings from it, and I hope that others of their cultivars will soon, if not already, be available in the USA. Which newer introductions caught your eye this year? 'HISTORIC' OLDIES, DYKES MEDAL WINNERS BEFORE 1958 cont. 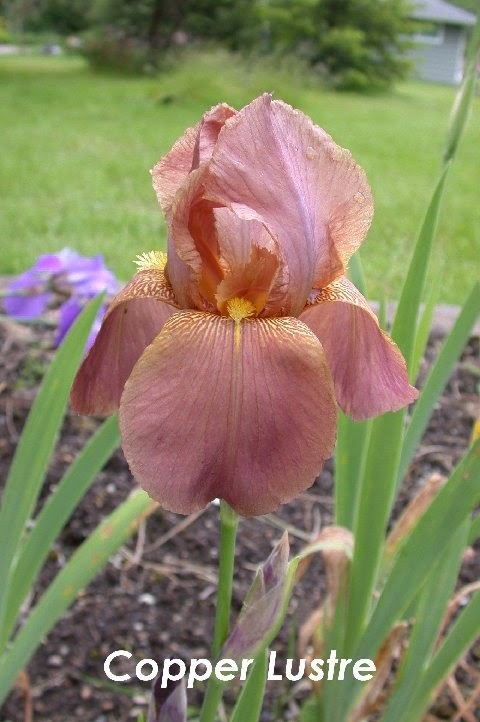 This post will show irises that won the Dykes Medal from its first year, 1927, to 1957. My appreciation to everyone who took such nice photos and allowed us to use them. Well, there you have it. Between the last article and this article we have the complete list and pictures of all the'historic" Dykes Medal Winners from 1927 until 1984. 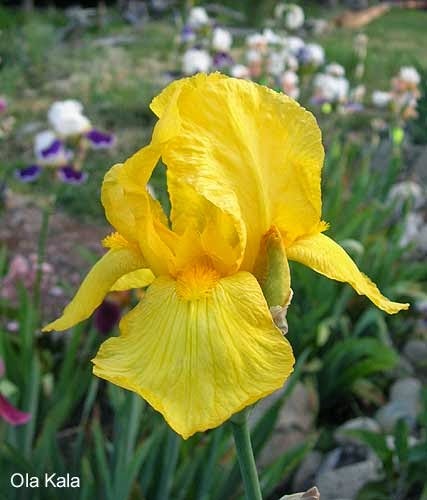 (If you missed my last post, it includes 'historic' irises that won the Dykes Medal between 1958 and 1984. 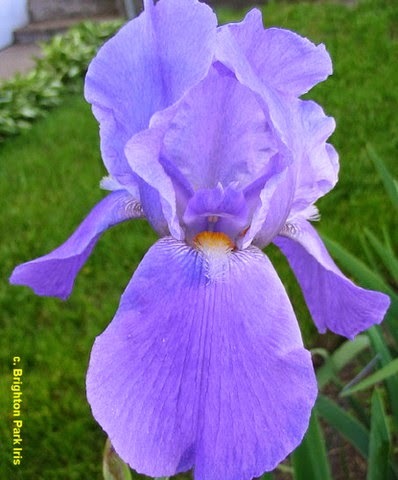 Click here to see it: http://theamericanirissociety.blogspot.com/2014/07/tall-bearded-iris-oldies-dykes-medal.html). I'm sure that there are some that really caught your eye and made you think about planting them. 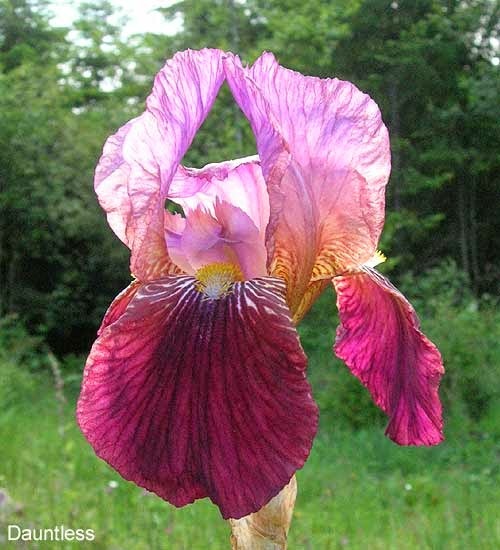 Do you grow any of these iris? Which ones are your favorites?